Hourglass is one of those brands I’ve been wanting to try out for a long time but I just never found a product that piqued my interest enough to dip my toe in. 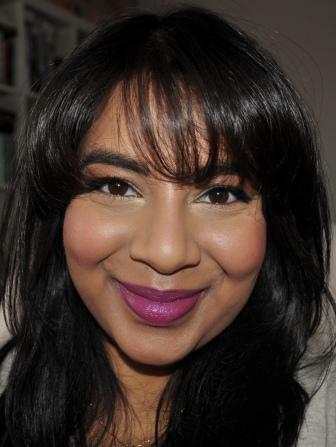 That changed when I was watching a favourites video by Lisa Eldridge where she was talking about a liquid liner by Hourglass. The liner she was talking about was the Script Precision Liquid Liner in Jett and she made it sound so enticing that I just had to rush straight to Mecca to purchase it. 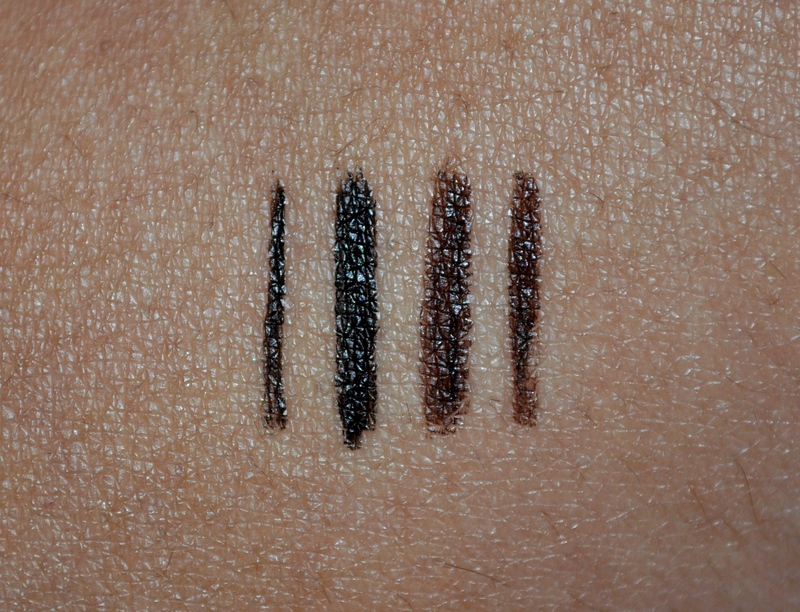 The only problem was that the tester on the shelf was dried out so, before I took the liner home, I opened it up in the store to swatch it on my hand to make sure it was OK. My instinct proved right as it turns out that the liner was completely dried out. I got a refund straight away but, as there was no more of the Script liners left, I decided to buy the Calligraphy liner in Cognac. I eventually did manage to find the Script liner at another store and it was fine but take that as a word of warning if you do decide to go and purchase it yourself and check your liner first! As you can see from the picture above, there is a big difference between the two liners. The Script liner on top has a teeny tiny tip while the Calligraphy liner is more comparable in size to most liquid liner pens out there. 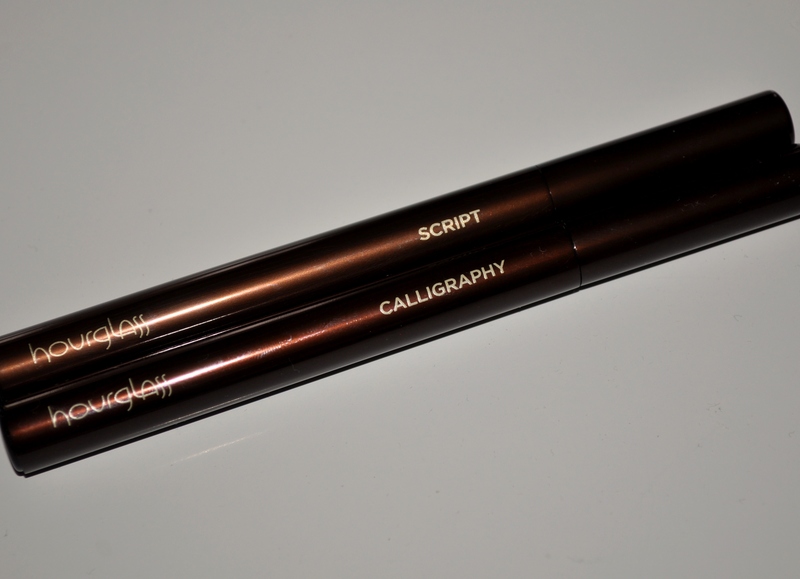 The Script liner only comes in the shade Jett (which is black) while the Calligraphy liner comes in 3 shades. 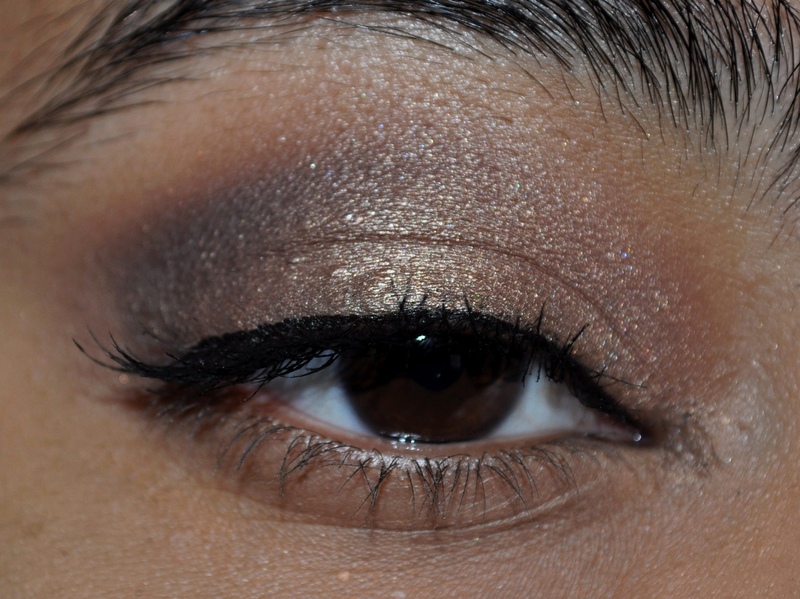 The shade I picked up, Cognac, is a medium-dark brown (maybe closer to dark brown?) with a bit of warmth to it. I’ve swatched both below. The benefit the Script liner has is that, due to its size, it’s perfect for very precise detail work that is more difficult to achieve with a lot of other liquid liners. 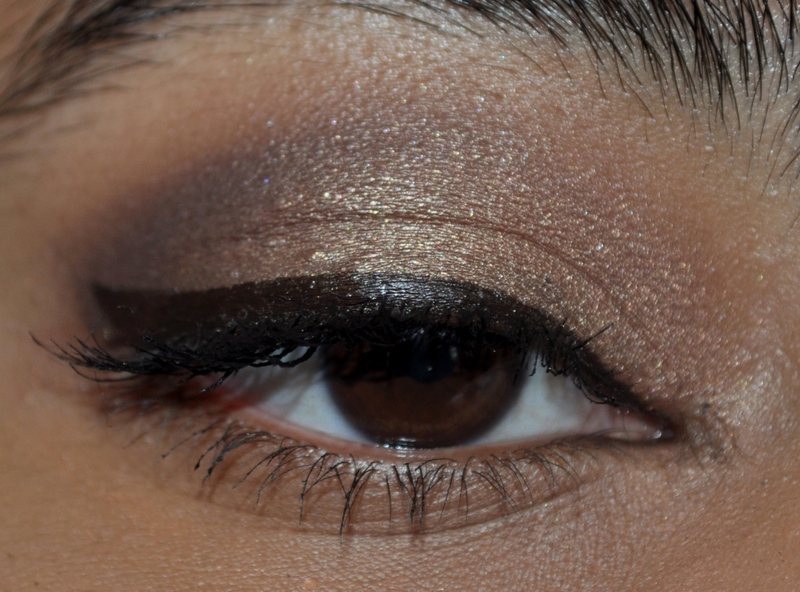 It’s great for drawing a very thin line close to or even in the lash line. I tried it out below and I could have actually made the line thinner if I had wanted. It’s also possible to draw thicker lines with this but it’s more time-consuming due to the small tip. I still use it if/when I have time to do my makeup but I usually favour other liners when I’m in a rush (which is most days) because I find that I need to spend more time ensuring there aren’t any gaps when I draw a thicker line. I even had to go back and redo the liner for the picture below because the flick wasn’t coloured in fully. It does give a very beautifully defined look though. If you’re a connoisseur of black liners (or any black products really) you’d know that not all blacks are created equal. While Jett is a lovely black and looks dark in pictures and in person, when compared to others I own, there are more pigmented liners out there. 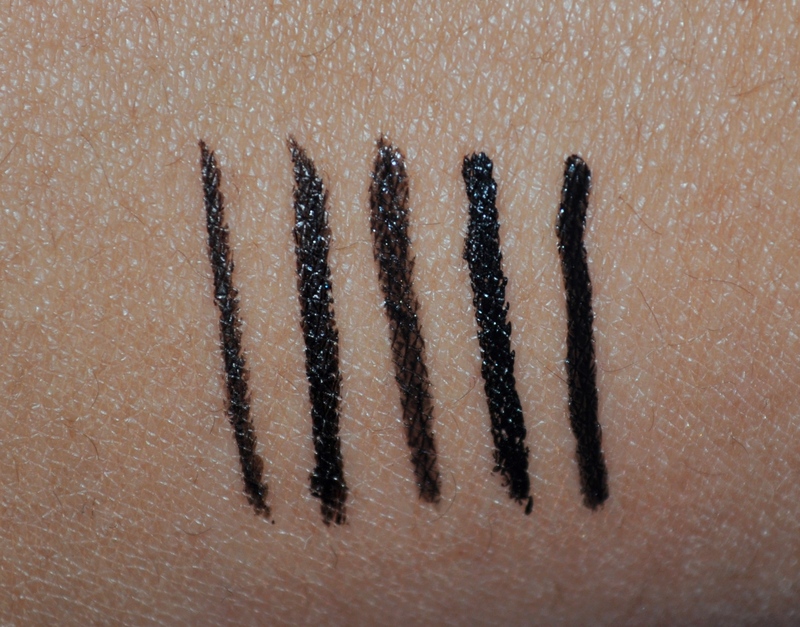 I’ve swatched some of the below from left to right: Hourglass Script liner in Jett, Stila Waterproof liner in Intense Black, Illamasqua Precision Ink in Abyss, NYX Studio Liner in Extreme Black and Maybelline Master Duo in Black Lacquer. 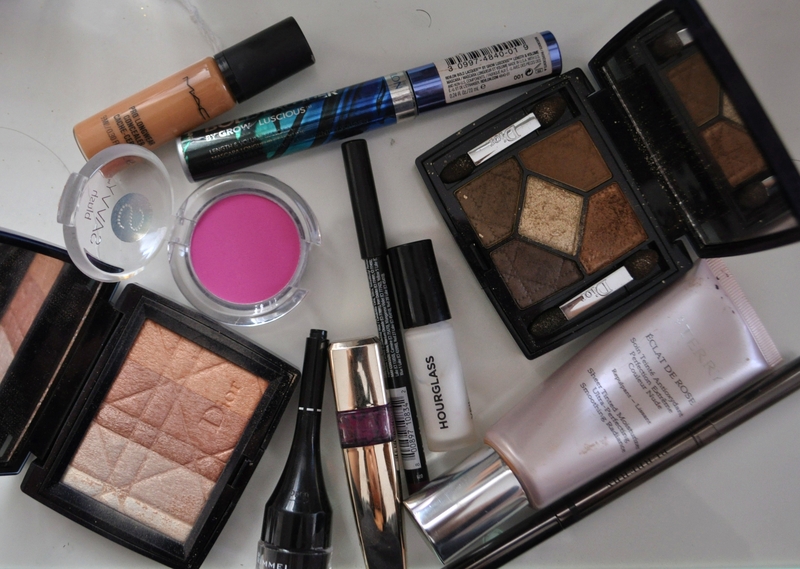 Stila is the best in terms of pigmentation and longevity and NYX is a close second and very budget friendly. Cognac is shown below on the eye. It’s a lovely liner to use but I just don’t find the colour to be that unique and I also find that it tends to migrate under the eye about half way through the day. For the price you pay, I don’t think the Calligraphy liner is worth the splurge because there are much nicer/long-wearing liquid liner’s on the market for a cheaper price (hello Stila!). I also found a tiny bit of fading with Jett but the precision makes it a more unique product. Hourglass isn’t cheap and each of these liners set me back $48 AU and will cost you $32 in the USA. If you’re always on the hunt for the thinnest liner you can find then I think that the Script liner could be worth the splurge but I would skip on the Calligraphy. 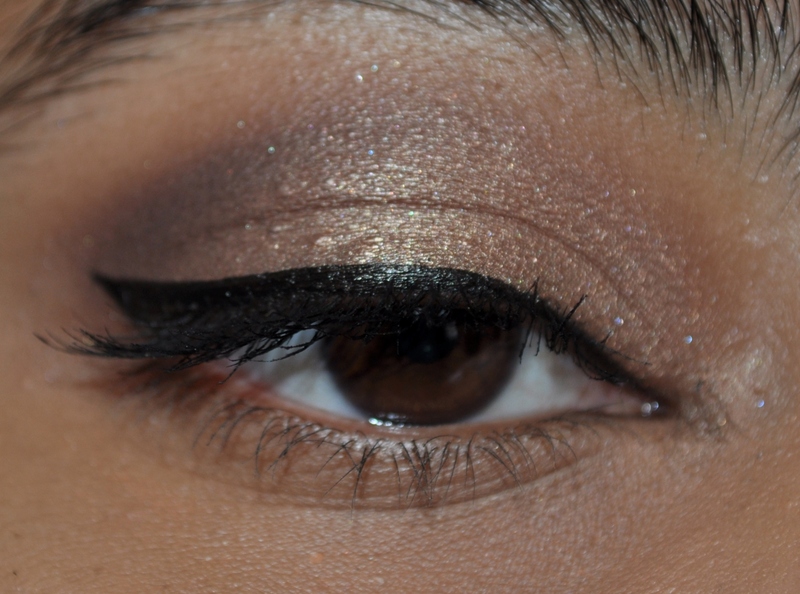 What do you think of these liners? 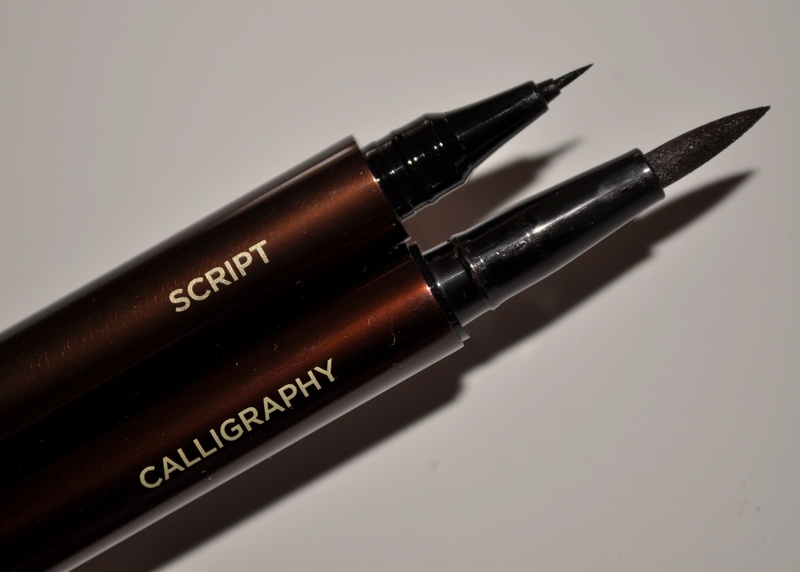 Have you found another liner that’s smaller than Script?